Looking for quick lock repair or key replacement? We, at "Locksmith Fresno", are readily available to provide any type of professional service that you may require. We are experts in the repair and changing of locksets and keys. Our service range extends from emergency assistance to the installation of locking devices and safes. We do every job in a swift and effective manner. That is why our company is the top choice for households, businesses and car drivers. Our expert knowledge covers traditional mortise and rim sets and the most advanced digital locks. 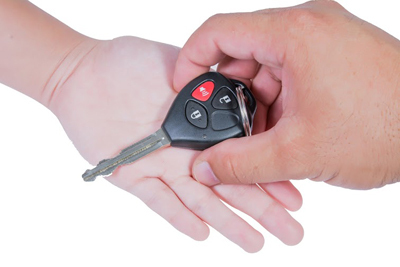 Dependability is one of the primary qualities of our professional locksmith services. You can expect the swiftest response when you reach us. When the situation is urgent, we will be with you in the shortest time. We are perfectly punctual when we provide scheduled services as well. Count on our team to come fully prepared to do the required job no matter how complex or specific it is. Expert knowledge is another factor which makes our company stand out. New door security locks keep coming up and they are getting ever more advanced. By keeping up to date with all of the latest technologies in our industry, we are able to install, repair and replace even to the most innovative devices. Our technicians employ ever more sophisticated techniques. Each technique is implemented masterfully for producing top results. Speed is also among the major advantages of Locksmith Fresno. We never waste time when we have to implement a solution. We work quickly not only when we provide lockout service. This, however, is never done at the expense of precision. Quite the opposite, we deliver solutions at great speed because we do our job in a focused and dexterous manner. Accuracy is crucial in our business and we achieve it through the use of advanced skills and tools. All of our technicians have undergone professional training and continue to master their professional skills. 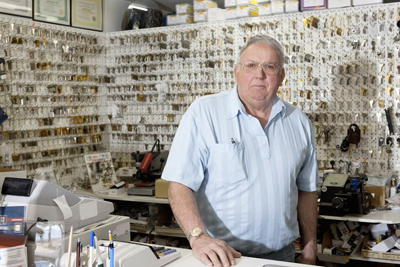 We use only the most technologically advanced tools for lock repair, rekeying and replacement. They are maintained in excellent condition for ensuring that our performance is flawless every time. Effective and lasting results are enjoyed by our customers when we provide then with professional services. For achieving this, we combine our knowledge and skills and use only the best tools, techniques, materials and parts. We use only fully reliable and strong devices for lock change. The same applies to specific replacement components of the lockset such as screws and the cylinder. Our specialists choose only the safest and most effective materials for cleaning, rust removal and lubrication. Comprehensiveness is another reason why you should choose our professional service. We always ensure perfect functionality of the repaired or replaced device before we leave. For instance, you will get not only a transponder key repair, but also reprogramming for maximum convenience and perfect security. Call us right away to share any problem and to request our service. We will give you a detailed quote in no time.